Card Thief has a lot that is going right. It improves on its predecessor's gameplay by tightening the mechanics and focusing on a solitary mode of play. This way the title can be more accessible by not weighing the player down with too many options. Your goal is simple: get to the end of the dungeon while gathering as much treasure as possible. The more treasure you earn, the higher your score will be. From the outset, this sounds pretty simple. Rest assured, the game still offers a pretty good challenge. In each of the game's four heists there is a chance to grab a treasure chest. These chests contain random equipment cards. 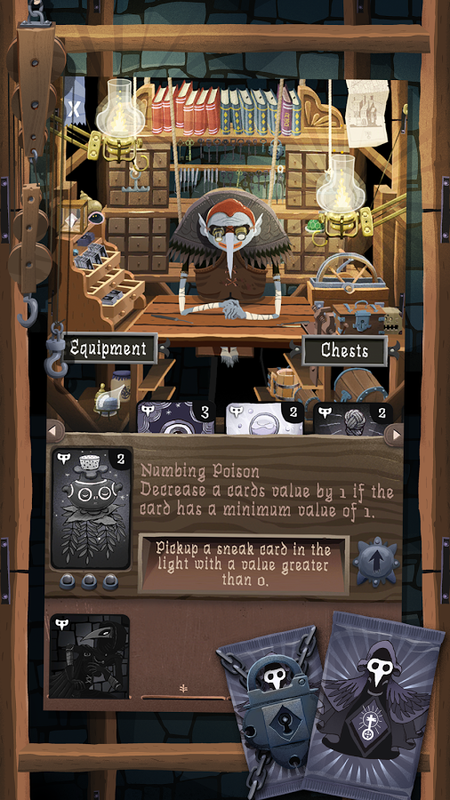 Once the chest is unlocked, you can then equip each of your cards as well as upgrade them. When these cards are equipped, you can use them to your advantage by trying for even higher scores. This will of course take a bit of strategy from the player, but the option is there for those looking to compete in the global leaderboards. Besides the solid gameplay, the graphics are also worth mentioning. The art comes off as very clean and well-thought-out. Each section of the scrolling menu has its own look, but it is all very cohesive. Really, the only negative I can find is that the gameplay section is a bit dark. This makes it difficult to see each card clearly. Luckily, this can easily be resolved by cranking up your device's brightness. Card Thief is a free-to-play game, but that does not mean the monetization is bad. As a matter of fact, the way the game is priced is pretty straightforward. You can play and complete it for free, there will just be a few advertisements and a treasure chest wait timer. If you would like a more premium experience, there is a single in-app purchase of $1.99 that will remove the ads and timer. It is also worth mentioning that Card Thief has built-in Google Play Games support. This not only means you will have cloud saving across your Android devices, but there are also achievements and a global high score leaderboard to compete in. 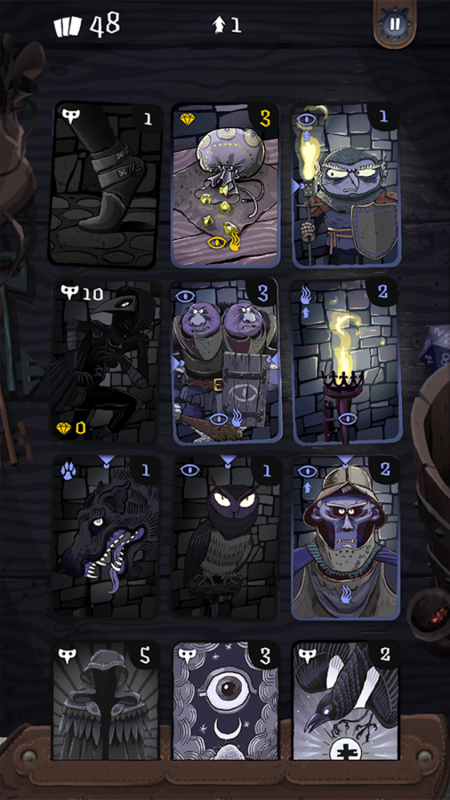 Everything considered, Card Thief is a solid release that offers challenging gameplay wrapped in a beautiful package. Whether or not you decide to purchase the single IAP, the experience is going to be great. 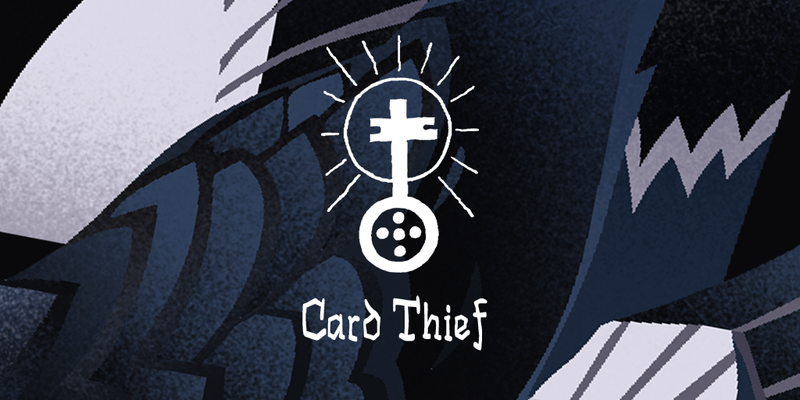 With so many free-to-play games on the Play Store that are looking to take advantage of their players, Card Thief has found a great balance that, in my opinion, is worth rewarding.